My favorite bird, the Snowy Owl - January 1, 2014. I didn't get out to do much birding this past fall, so I was really looking forward to getting out to see some of my feathered friends while I was off for two weeks over Christmas. 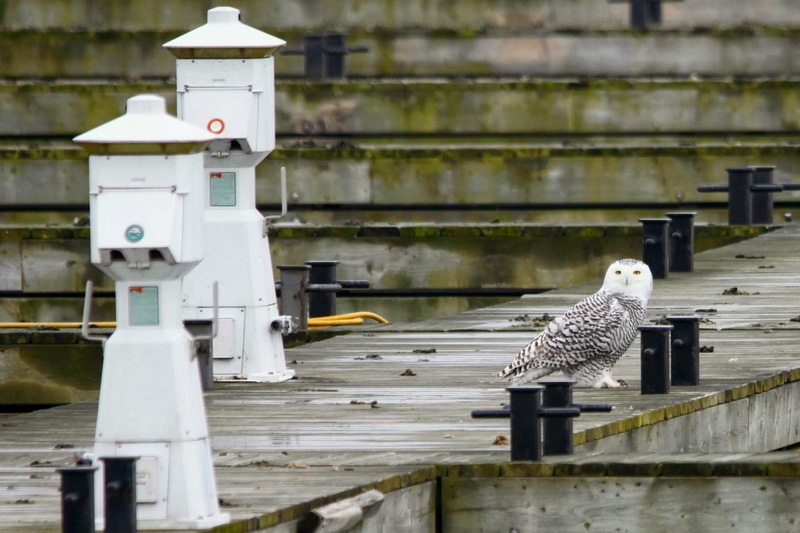 We went out on Dec. 28th with our friends, Jim and Lynda, and had some good sightings at LaSalle Park and Bronte Harbour in Burlington. 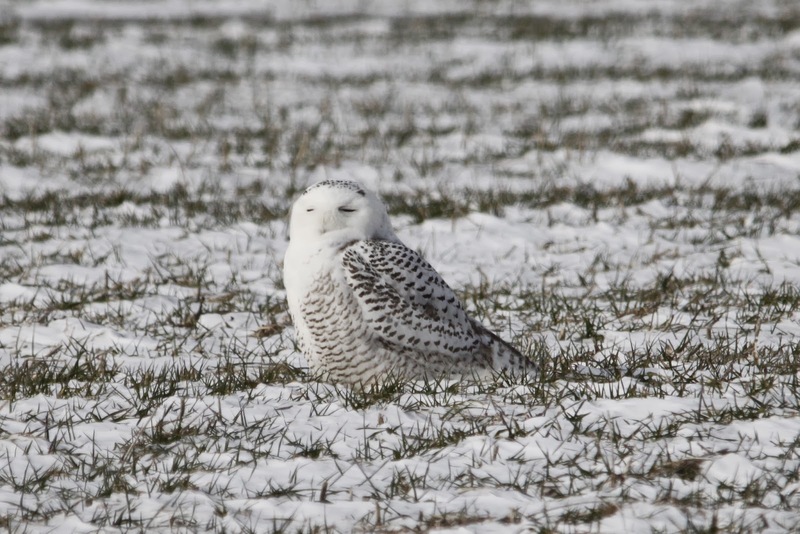 Rob and I ventured out on New Years Day alone in search of Snowy Owls and ended up seeing six! Here are a few of my favorite shots of our outings, all pics taken by Rob, I'm the bins carrying spotter! 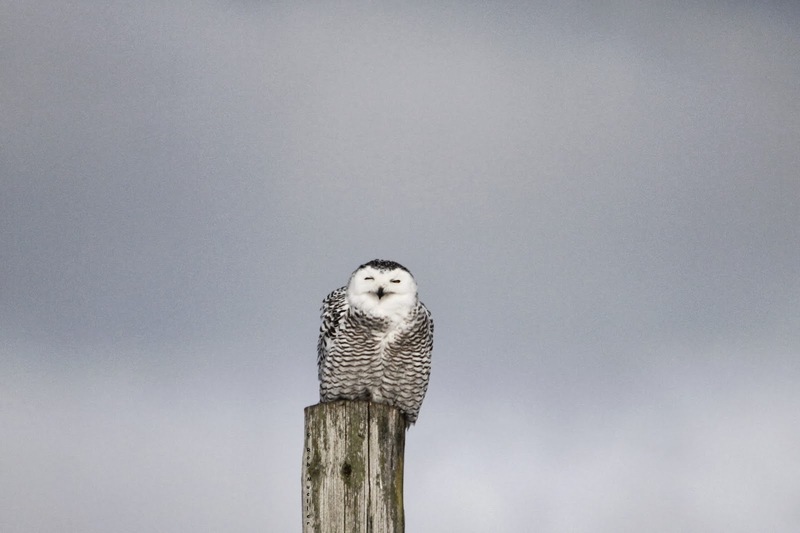 The first bird of our Dec. 28th outing, a Snowy Owl! My first of the season. 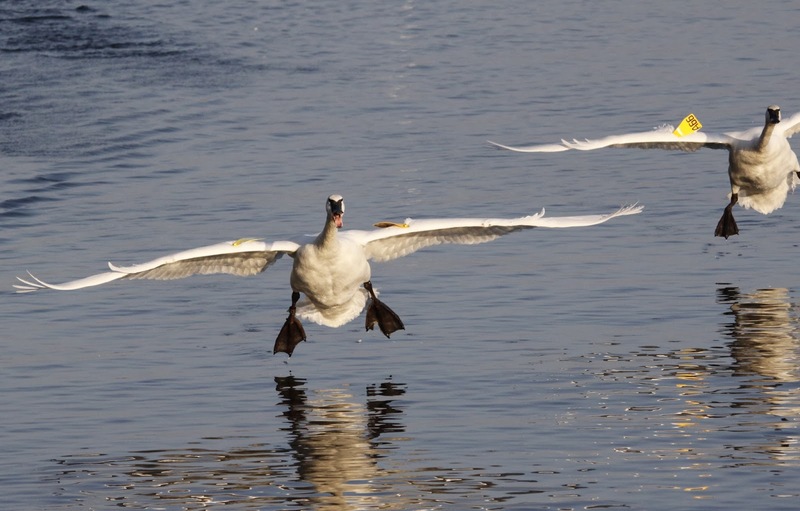 In case your wondering how these birds got their name, they do sound just like Trumpets! Imagine the ruckus hearing loads of them at one time, deafening! This juvenile Bald-headed Eagle flying over caused lots of excitement! Dec. 28th. 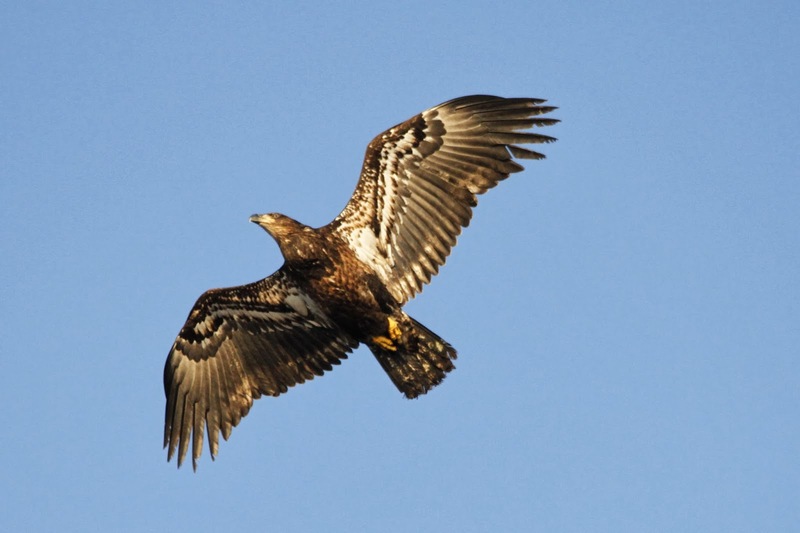 Bald Eagles heads don't turn white until they are fully mature, between 4 and 5 years old. 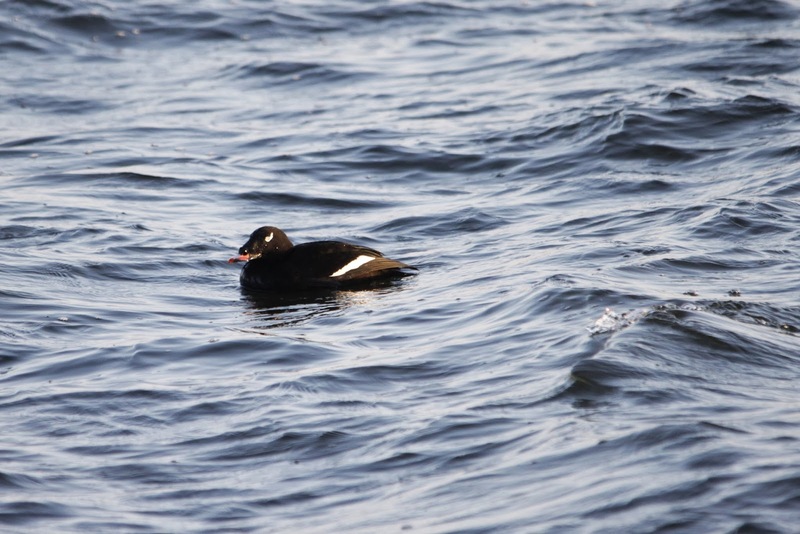 We had good looks at a couple White-winged Scoters. Dec. 28th. 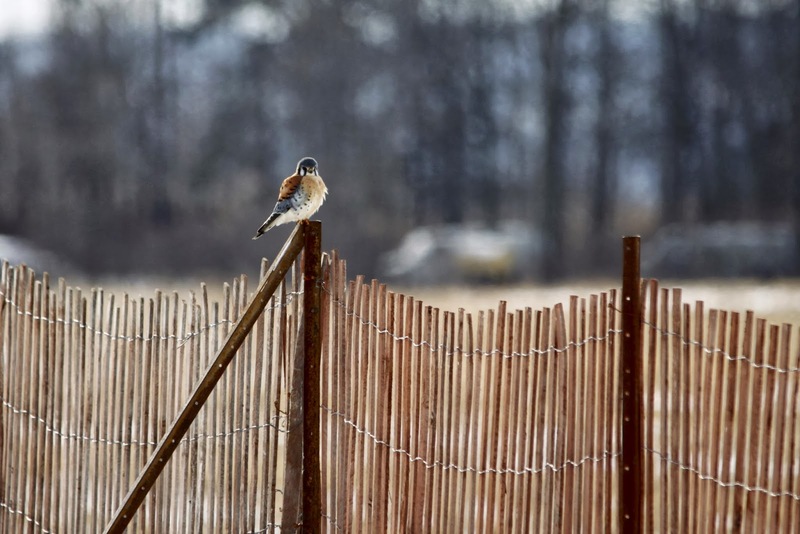 The smallest raptor of them all, American Kestrel. Jan. 1st. Might as well end with another Snowy! Jan. 1st. I'm looking forward to doing some more winter birding, still lots of different winter visitors to see before they leave us; Snow Buntings, Evening Grosbeaks, Horned Larks, to name a few. I'd be thrilled to see ONE Snowy let alone six! How fantastic!